Dr. Yan Jiao earned her PhD degree from the Department of Biology at Memorial University of Newfoundland in 2004. Her thesis is on uncertainty problems in quantitative fish population dynamics. She then moved to University of Guelph and worked there for year and half as a postdoctoral researcher. The postdoc project that she participated is on decision analysis and adaptive management of Lake Erie Perch fisheries. In 2005, she joined Virginia Polytechnic Institute and State University as a tenure-track Assistant Professor. 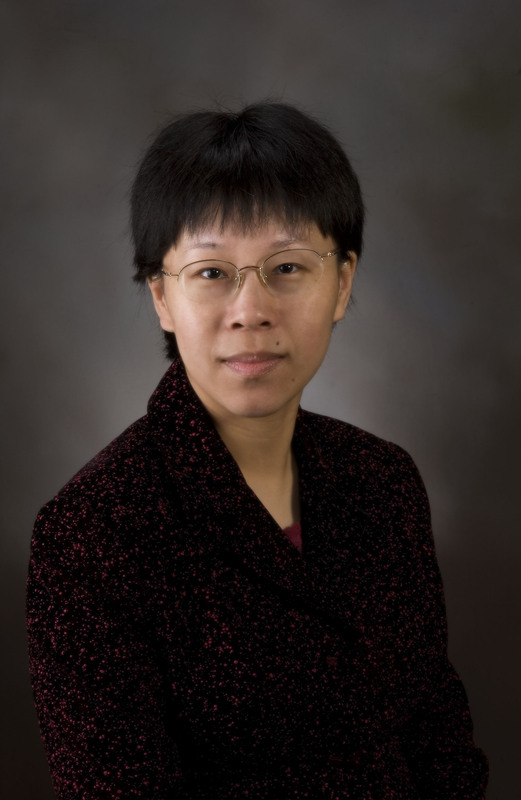 In 2011, Dr. Jiao tenured and was promoted to Associate Professor. Over the past 15 years, Dr. Jiao has published more than 50 papers with her students and colleagues, and her academic interests mainly focus on aquatic resources population dynamics, fisheries ecology, fisheries stock assessment and management. She has been teaching courses on Marine Ecology, Fish Population DynamicsModeling, and Risk Assessment etc. Dr. Jiao currently also serve as an Associate Editor of Transactions of the American Fisheries Society. 4.Jiao, Y., Smith, E., O’Reilly, R., and Orth, D. 2012. Modeling nonstationary natural mortality in catch-at-age models: an example using the Atlantic weakfish (Cynoscion regalis) fishery. ICES Journal of Marine Science. 69:105-118. 6. *Li, Y., Jiao, Y., and *He, Q. 2011. Decreasing uncertainty in catch rate analyses using Delta-AdaBoost: an alternative approach in catch and bycatch analyses with high percentage of zeros. Fisheries Research 107: 261-271. 7. *Li, Y., and Jiao, Y. 2010. Influences of gillnet fishing on lake sturgeon bycatch in Lake Erie and implications in conservation. Endangered Species Research 13:253-161. 8.Jiao, Y., Rogers-Bennett, L., Taniguchi, I., Butler. J., and Crone, P. 2010. Incorporating temporal variation in the growth of red abalone (Haliotis rufescens) using hierarchical Bayesian growth model. Canadian Journal of Fisheries and Aquatic Sciences 67: 730-742. 9.Jiao, Y., Reid, K., and Nudds, T. 2010. Consideration of uncertainty in the design and use of harvest control rules. Scientia Marina 74: 371-384. 11.Jiao, Y., Lapointe N., Angermeier, P.L., and Murphy, B. 2009. Hierarchical demographic approaches for assessing invasion dynamics of non-indigenous species: an example using northern snakehead (Channa argus). Ecological Modelling 220: 1681-1689. 12.Jiao, Y., Reid, K., Nudds, T., and Smith, E. 2009. Graphical evaluation of fishery status with a likelihood inference approach. North American Journal of Fisheries Management 29:1106-1118. 13. *Hayes, C., Jiao, Y., and Cortés, E. 2009. Stock assessment of scalloped hammerhead sharks in the western North Atlantic Ocean and Gulf of Mexico. North American Journal of Fisheries Management 29:1406–1417. 14.Jiao, Y. 2009. Regime shifts in marine ecosystems and implications for fisheries management, a review. Review in Fish Biology and Fisheries 19:177–191. 15.Jiao, Y., *Hayes, C., and Cortés, E. 2009. Hierarchical Bayesian approach for population dynamics modelling of fish complexes without species-specific data. ICES Journal of Marine Science 66:367-377. 18.Jiao, Y., Reid, K., and Nudds, T. 2006. Variation in the catchability of yellow perch (Perca flavescens) in the fisheries of Lake Erie using a Bayesian error-in-variable approach. ICES Journal of Marine Science 63:1695-1704. 19.Jiao, Y., Chen, Y., and Wroblewski, J. 2005. An application of composite risk assessment method in assessing fisheries status. Fisheries Research 72:173-183. 20.Jiao, Y., Chen, Y., Schneider, D., and Wroblewski, J. 2004. A simulation study of impacts of error structure on modeling stock-recruitment data using generalized linear models. Canadian Journal of Fisheries and Aquatic Sciences 61:122-133. 3.Invitee to the 2007 Joint International Council for the Exploration of the Sea (ICES) / North Pacific Marine Science Organization (PICES) early career scientists conference presenter. 4.Invitee to the 2004 DIALOG VI Symposium of the American Society of Limnology and Oceanography (ASLO). Only 40 recent PhDs are invited to attend each biannual DIALOG Symposium. 5.Fellow of the School of Graduate Studies Memorial University of Newfoundland, in recognition of excellence during graduate studies (2004). 8.Honor scholar Canadian International Development Agency/MUN Scholarship for 2000-2001- Recognition of excellence: in recognition of outstanding achievement and pursuit of excellence by a Memorial University student at the graduate level.